Before venturing out, check for road and trail conditions at Redwood National and State Park. 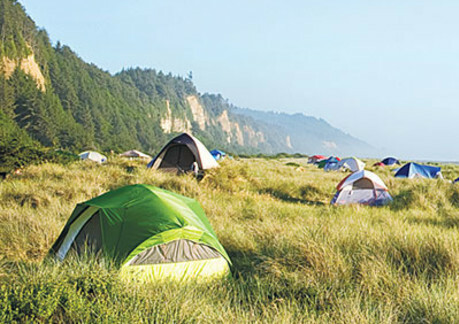 Day use and camping, close to Fern Canyon. 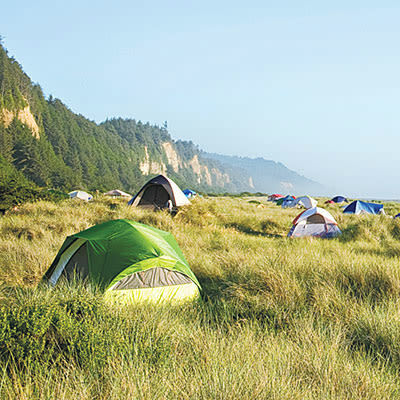 The campground lies in the dunes along a beautiful 10-mile stretch of golden beach in northwestern California. As part of Prairie Creek Redwoods State Park, it is located six miles off Hwy 101 at the end of unpaved, Davison Rd. So, you may find yourselves just about the only people around, and for those who want to experience the joys of nature, you've come to the right place. 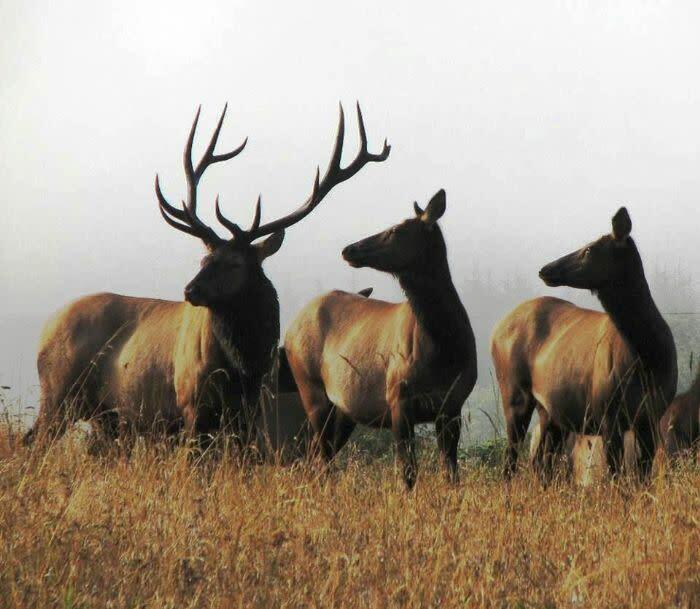 Sites can be reserved from May 22nd - September 28th on www.reservecalifornia.com or by calling 1-800-444-7275. Outside of these dates sites are on a first-come, first-served basis. 24 RV and tents, vehicle length limit: 24-foot RV, no trailers, no RV hookups. Accessible trails for individuals with physical or visual limitations - stop at visitor center for trail maps. While dogs are not allowed on any park trails, they are allowed at this campground on a leash and the adjoining beach. Farther up Gold Bluffs Beach is an easy 3/4-mile, 20-minute trail that loops through a steep, 50-foot-high canyon with walls covered by lush ferns. 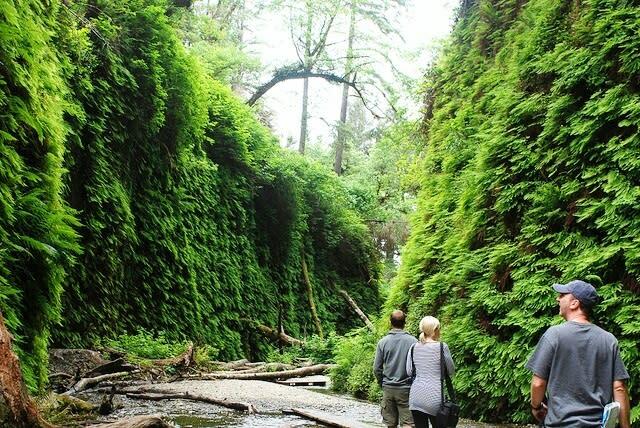 You might need waterproof footwear for the Fern Canyon Trail, which can be quite wet after a rain.